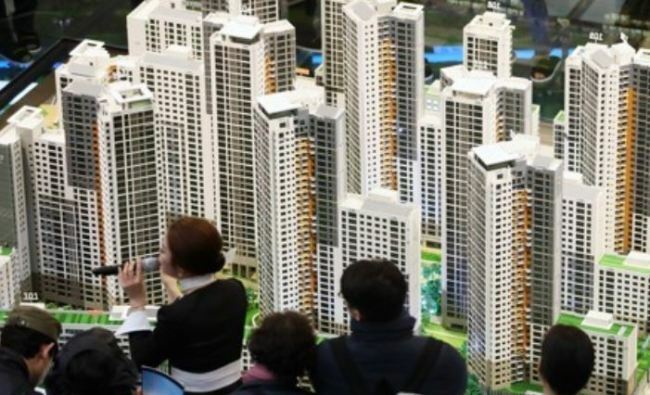 The South Korean government on Thursday announced it would again raise the comprehensive real estate tax rate for owners of high-priced residences and of multiple properties, as part of a further attempt to rein in skyrocketing housing prices. According to the latest action plan, those who own multiple properties in bubble-prone zones will face real estate taxes as high as 3.2 percent, officials said. This additional tax hike comes on the heels of a government decision in July to increase real estate taxes to a maximum of 2.5 percent. 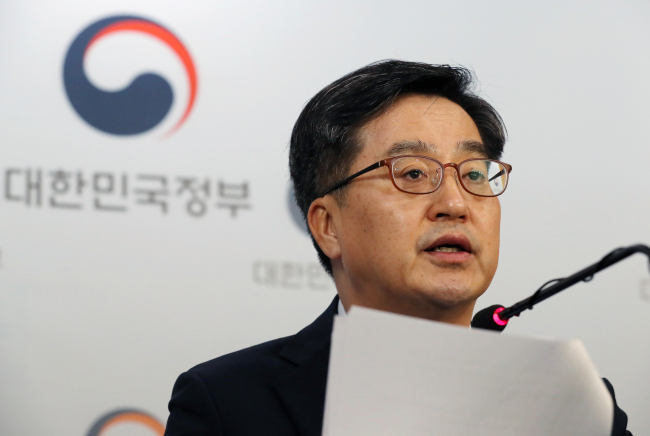 “The real estate market has recently been overheating, especially in Seoul and the metropolitan area,” said Deputy Prime Minister and Finance Minister Kim Dong-yeon in a press briefing. The government’s announcement centered mainly on the reinforcement of the comprehensive real estate tax regulations, under which high-end buyers will face higher taxes and an expanded range of homeowners will be subject to the tax hikes. “Those who own three houses or more will face a tax rate hike of 0.1-1.2 percentage point, which will take the maximum ceiling to 3.2 percent,” Kim explained. Also, residences priced over 300 million won ($267,000) will be subject to a 0.2-0.7 percentage point hike, according to the fiscal chief. The corresponding price cluster was previously excluded from the government’s hike scheme. The Ministry of Economy and Finance had proposed in July a set of tax hike plans that focused on raising taxes on owners of multiple homes and of high-priced properties, seeking to reduce the nation’s widening income gap. The core idea was a tax rate hike for real estate priced at 600 million won or above, with the maximum rate to be raised to 2.5 percent from the conventional 2 percent. This tax hike scheme, combined with the set of loan restrictions introduced in August last year, was intended to discourage the rampant practices of multiple real estate ownership here. Housing prices here, however, have continued to climb at a record pace over the past months. According to KB Kookmin Bank’s real estate report, the average inflation rate of Seoul properties reached 6.85 percent as of end-August, marking the steepest rise since 2006. “The government plans place emphasis on blocking the speculative demands of multiple property owners and on protecting those with actual housing demands,” the deputy prime minister said. In line with such a policy tone, the government also vowed to expand the housing supply in the metropolitan region by alleviating rules concerning the designation of residential areas. “The details of the supply plan will be announced on Sept. 22, due to the ongoing policy coordination processes with local government,” said Minister of Land, Infrastructure and Transport Kim Hyun-mee. In terms of financial regulations, the government also decided to tighten grip on lease operators, who were conventionally exempted from the loan restrictions. The change of rules for lease operators has been under fire as it was seen as delivering a blow to the government’s policy credibility. The Moon Jae-in administration has so far offered tax benefits to owners of multiple homes who register themselves as lease business operators, encouraging them to reveal their assets and manage their tax affairs transparently. Whereas the Land Ministry suggested the reduction of benefits, the Finance Ministry maintained prudence over flip-flopping on the policy announced only months ago. Meanwhile, a poll showed that a majority of the public is in favor of raising the tax burden for affluent property owners. According to a survey conducted by local pollster Realmeter, 56.4 percent of the 500 respondents were supportive of the government’s comprehensive real estate tax plan, while 30.7 percent were pessimistic. While those advocating the ruling Democratic Party of Korea and liberal minority Justice Party generally consented to the government’s tax scheme, those in favor of the conservative opposition Liberty Korea Party and Bareunmirae Party were inclined against it.